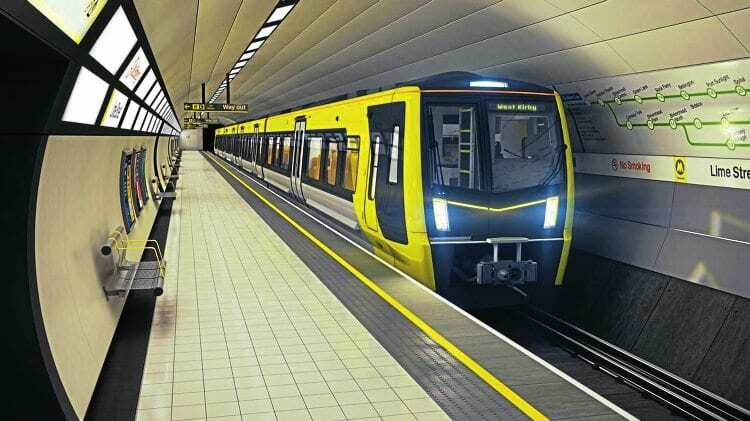 SWISS-based Stadler has beaten off competition from Bombardier, Siemens, CAF and Mitsui to win the contract to build 52 new EMU sets for Merseyrail. These will replace the 32 Class 507 and 27 Class 508 units that have been plying the two main Merseyrail routes – the Wirrall Line and Northern Line – since 1978-80. The contract is worth £460 million and the new units should be delivered in 2019/20 for service in 2021. The vehicles are to be owned by the local authority and leased to Merseyrail. The intention is to use low cost loans available to public authorities, as well as using cash reserves that have been built up for the purpose. Unlike the Class 507/508 units, the Stadler sets will have four coaches and thus be able to carry more passengers. It is also said they will cut journey times by 10 percent, which is the equivalent of up to nine minutes on some end-to-end routes.